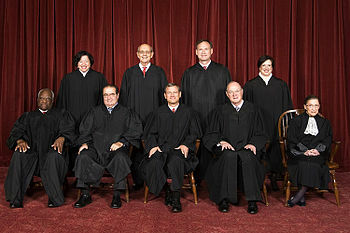 WASHINGTON — The U.S. Supreme Court heard argument on Tuesday surrounding Hobby Lobby’s challenge to the Obamacare abortion pill mandate, as well as a challenge from Conestoga Wood Specialties Corporation, a Mennonite-owned kitchen cabinet company. As previously reported, the Obama administration had filed an appeal to the Supreme Court in September in an effort to force the popular craft chain Hobby Lobby to comply with the abortion pill mandate in the Affordable Care Act. It asked the court to overturn a preliminary injunction that was granted to the company this past July. Hobby Lobby offers birth control coverage to its employees but refuses to provide coverage for the morning-after and week-after pill, which it believes are abortifacients. However, a federal judge appointed by George W. Bush rejected the corporation’s request for an injunction, stating that for-profit businesses that are secular in nature cannot be considered religious entities, and are thus not entitled to an exemption. The Third Circuit likewise rejected the injunction. On Tuesday, the nine justices of the Supreme Court were divided over whether for-profit businesses should be granted exemptions for religious purposes. According to reports, the female justices were more skeptical of allowing the exemption, while the male justices seemed to lean more in favor of accommodating the religious beliefs of corporations. Justice Sonia Sotomayor asked Hobby Lobby attorney Paul Clement if companies should be allowed to refuse to cover other procedures, such as blood transfusions and vaccines, for religious reasons. She posited that a “slippery slope” could result from allowing an exemption to the contraceptive mandate. “One religious group could opt out of this and another religious group could opt out of that, and everything would be piecemeal and nothing would be uniform,” Sotomayor stated. Justice Elena Kagan agreed, asserting that companies could consequently challenge other federal laws, such as the minimum wage requirement and child labor laws, based on religious claims. She contended that Hobby Lobby didn’t have to provide the coverage, but could rather opt to pay the fine, which she claimed was less than the cost of insuring each employee. But Justice Antonin Scalia suggested that the government should pay for birth control methods that are considered to be abortifacients if the business owner has objections to covering the cost. “You’re talking about, what, three or four birth controls? Not all of them, just those that are abortifacient. That’s not terribly expensive stuff, is it?” Scalia asked. When US. Solicitor General Donald Verrilli disagreed, other justices seemed to suggest support for the idea. “I thought it was the government’s position that providing coverage for the full range of contraceptives and other devices and drugs that are covered here is actually financially neutral for an insurance company, that that reduces other costs that they would incur,” said Justice Samuel Alito. The justices also grilled Verrilli on the Religious Freedom Restoration Act (RFRA) and what rights should be granted to corporations to freely exercise their religion. “What about the implications of saying that no for-profit corporation can raise any sort of free exercise claim at all and nobody associated with the for-profit corporation can raise any sort of free exercise claim at all?” Justice Alito asked. “[W]hat you’re saying to them is if they choose to work under the corporate form, which is viewed universally, you have to give up on that form the Freedom of Exercise Clause that you’d otherwise have,” Justice Anthony Kennedy added.